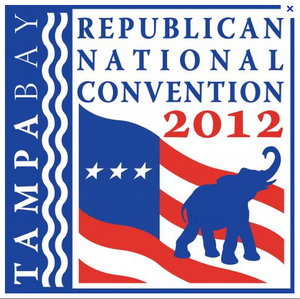 republican national convention | What's Peeps Thinking About Now? It's Probably Random! Secrets Exposed!! President Barack Obama Is Guilty! I have some shocking news to share with you. The conspiracy theories have been running rampant since last weekend and now I have proof that they may not have been so far-fetched! Some of you will scream that it’s unfair that the Commander-in-Chief of the greatest nation on Earth should be granted so much power and control. 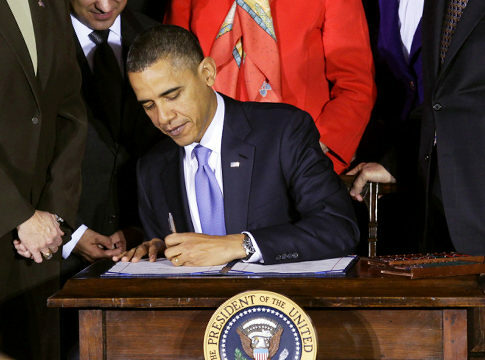 It’s one thing that President Barack Obama worked very hard to pass the Patient Protection and Affordable Act, or “Obamacare” in March 2010 and repealed “Don’t Ask, Don’t Tell” in September 2011. But, the powers that he possesses go much deeper than that. At first, I thought, that man is so stupid and he’ll say anything to get people riled up. As you recall, last week, the initial storm track of “Isaac” from the Hurricane Center had the storm passing dangerously close to south Florida before the track moved more west-northwest taking it into the Gulf of Mexico instead of across Florida. However, we all know that weather forecasts never change and that meteorologists are never wrong! Right? 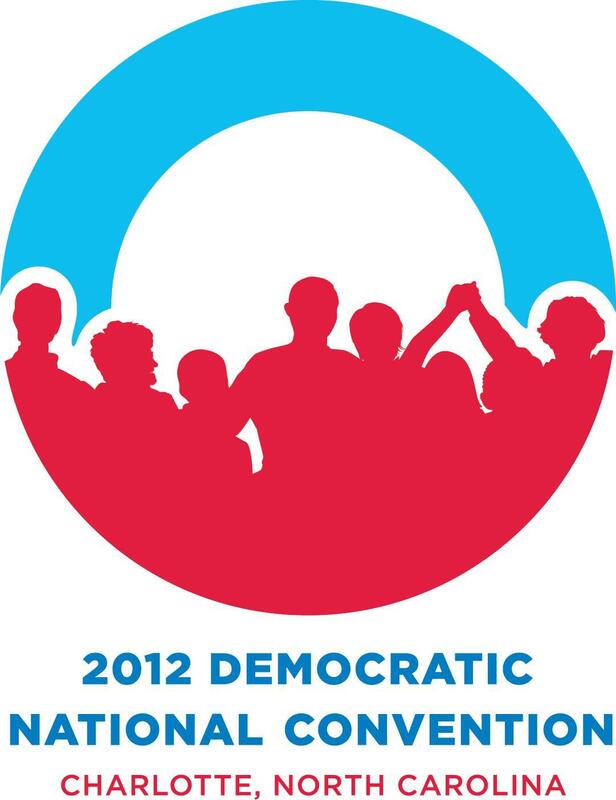 Sadly, I admit that Limbaugh was on to something. 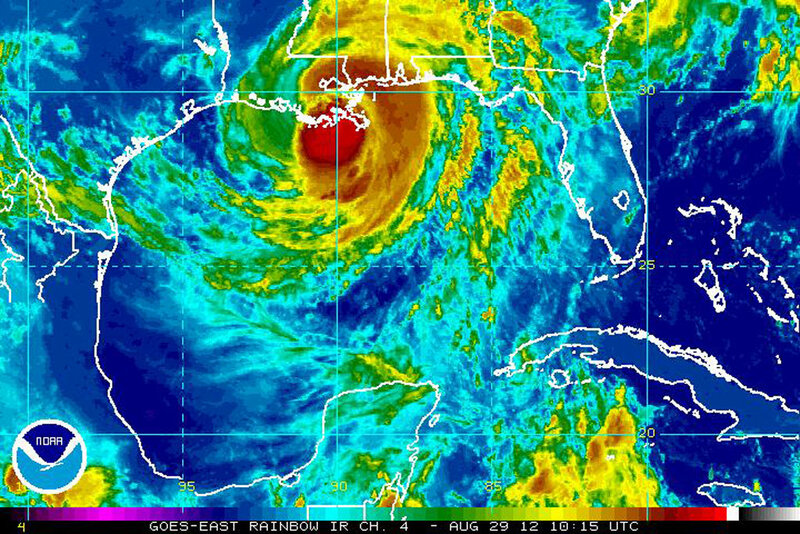 It seems that once the Republicans cancelled the first day of their convention, Isaac’s course shifted and set its sights on Louisiana and that is where it made landfall. And, now here’s the smoking gun that proves that the “conspiracy theorists” were right. 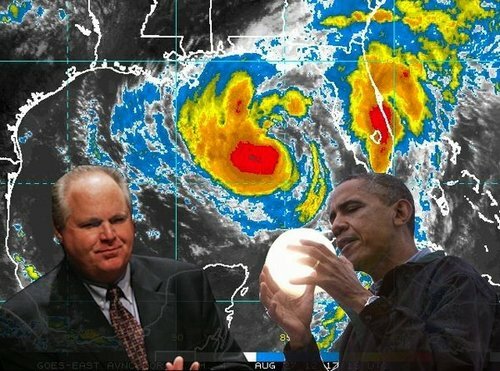 I have proof that President Obama is manipulating the atmosphere in his quest to defeat Mitt Romney in the November presidential election and this could be an inconvenient truth to some. While all eyes were focused on the Gulf of Mexico last week to see where Hurricane Isaac would make landfall and to see how much flooding would take place in Louisiana, two other storms were developing out in the Atlantic just in time to wreak havoc on the Democratic National Convention in Charlotte, North Carolina, September 4-6, 2012. 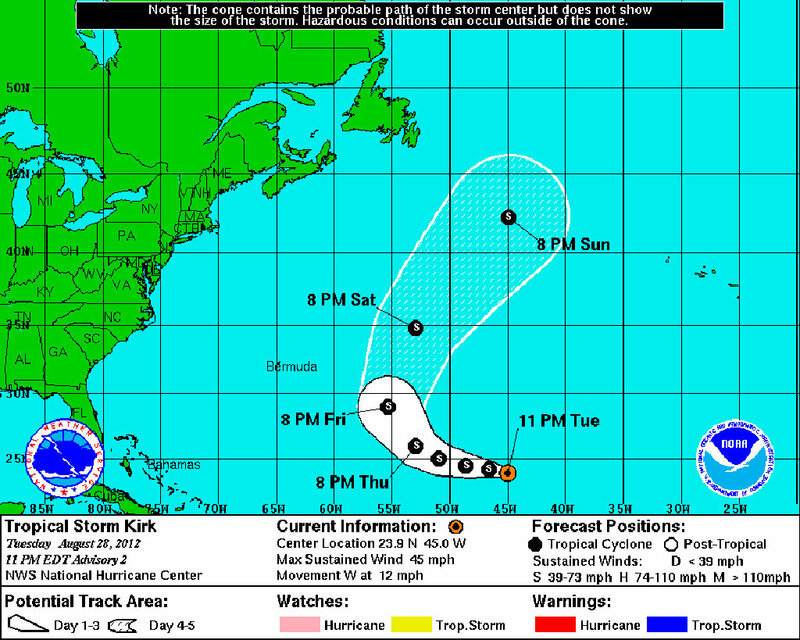 On August 30, 2012, Tropical Storm Kirk strengthened into a hurricane and the next day, winds reached 105 miles-per-hour, which is a category two hurricane. However, it dissipated Sunday, September 2nd and never posed a threat to land, much less the East Coast. And, now Tropical Storm Leslie is located out in the Atlantic and will likely become a hurricane later this week, but it will not threaten the East Coast of the United States anytime soon. That means two hurricanes moving through the Atlantic in the week before and the week of the Democratic National Convention both steered clear of North Carolina. Rather convenient, wouldn’t you say? So, Mr. President, since you now control the weather, once you’re finished with the convention, could you please send enough rain to Illinois and Iowa to alleviate the drought? Thank you in advance. The preceding blog is satire. My name is Anthony Peoples and I approve this satirical blog. There are weather forecasters on television throughout the country that do a great job keeping you safe in severe storms and bringing you your nightly or morning forecast without ever taking a college meteorology course. For many years, I was one of those people. I started my career in Rhinelander, Wisconsin, in 1996, as a weatherman and started my quest to become a certified “meteorologist” in the fall of 2003 through the distant learning program at Mississippi State University. In 2005, I earned my broadcast “Seal of Approval” from the National Weather Association and in the fall of 2006, I officially became a “meteorologist”, having passed 17 classes hand-picked by the American Meteorological Society. And, there are people who should not be making forecasts or trying to connect the dots of a natural disaster or weather event and why it happened. This is one of those people. 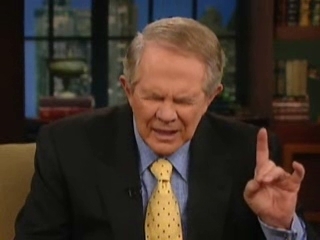 Pat Robertson, of the “700 Club” television ministries, has a long history of making really bad forecasts. When Hurricane Gloria battered the East Coast of the United States and threatened Robertson’s Virginia Beach, Virginia, television headquarters, he probably thought that his prayers sent the storm out to sea. However, from a meteorological standpoint, storms usually veer off to the north-northeast after they make landfall or a near-landfall. He probably forgot to pray for the rest of the East Coast where there were eight fatalities and $1.94 billion in damage (in today’s money). But, more than a decade later, he was still earning big bucks preaching religion and he was still working on his forecasting. 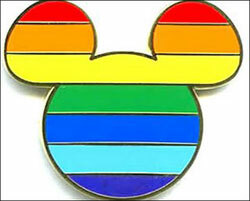 No hurricanes hit Orlando during the 1998 “Gay Days”. 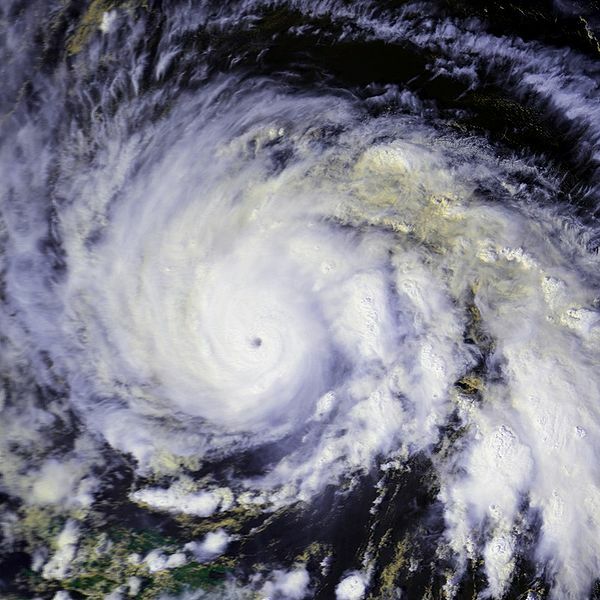 However, the remnants of Hurricane Mitch did hit southwestern Florida in early November as the weakened storm moved out of the Gulf of Mexico. False alarm! 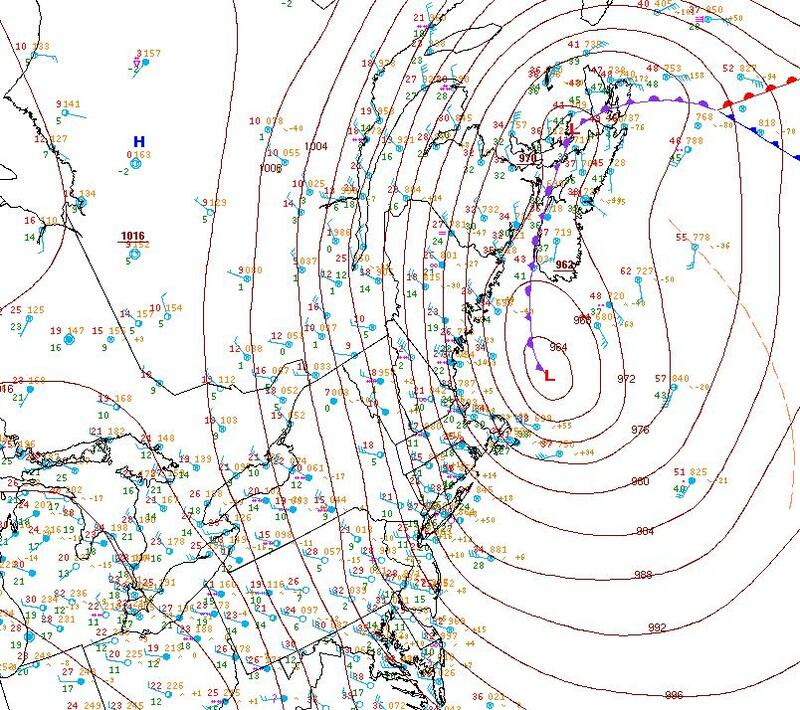 And, in late December 2010, Christmas travel around the country was disrupted by this winter storm on the East Coast. 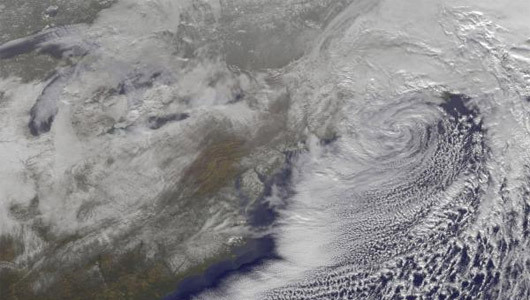 Here’s a satellite image of the storm and a picture of what it dumped on the Northeast. Of that storm, Robertson missed the mark! In his explanation, he didn’t mention that the developing low pressure system brought heavy snow to Alabama and a “White Christmas” to the Deep South or that once the low moved out over the Atlantic Ocean, it strengthened into an intense storm with a barometric pressure of 964 millibars, which is what you see in hurricanes. 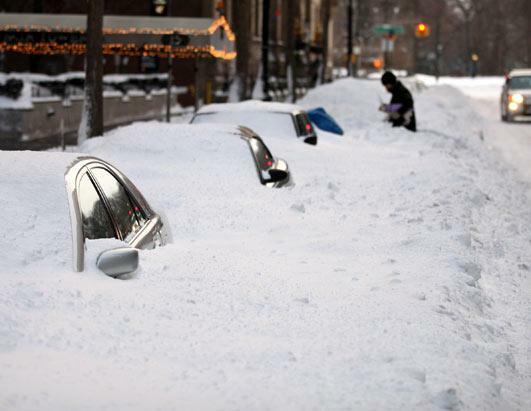 He didn’t explain how the storm caused 20″ of snow in Central Park and across other locations because of the collision of warm, moist ocean air and the cold Arctic air begin pulled in on the back side of the winter storm. The weather forecasting wonder/natural disaster prognosticator has also blamed gays for earthquakes in southern California and famine in East Africa. So, with all of his past successes and failures in forecasting and all of the blame he’s placed on the “gays”, why is he so quiet today? Is he not watching the Tropics? Here is the forecast from the National Hurricane Center. Tropical Storm Isaac is located near the Lesser Antilles with sustained winds of 45 miles-per-hour. This storm is expected to intensify into a hurricane tomorrow as it nears Puerto Rico, the Dominican Republican and Haiti Friday and Saturday, Cuba on Sunday, and Florida Monday. So, why hasn’t Robertson sounded his alarm? Oh, that’s right. It’s the Republican convention and we know how many of them feel about gay people. They’ve made that very clear and you don’t need a satellite or radar to see that.